Pest control services for Berkshire, Hampshire, Oxfordshire, Buckinghamshire, Middlesex, Surrey & London. 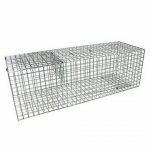 If you have a property that has a rabbit infestation then you will want to know how to effectively trap rabbits. 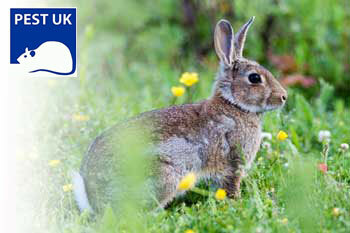 Rabbits cause damage to lawns & plants by eating & scratching. They carry ﬂeas and can transmit diseases to domestic rabbits. Landowners are obliged by law to control rabbits on their land. An Order was made under Section One of the Pests Act 1954 by which England and Wales (except for the City of London, the Isles of Scilly and Skokholm Island) were declared a Rabbit Clearance Area. In this area, every occupier of land is responsible for destroying wild rabbits on his/her land or for taking steps to prevent them causing damage. This is a continuing obligation. Our technicians are BPCA trained and very experienced in using these traps so you will know you are getting the best advice. All you need to know about rabbit traps and how to trap rabbits. We will come to you and personally show you how use the traps. The course can take up to 3 hours and is given by a trained pest control technician. 2 KC75 MAFF speciﬁcation Rabbit Traps so you can get started straight away. No need to wait to order the traps. The course can take up to 3 hours and is given by a trained pest control technician. Please be advised that due to expansion we have changed our name from Berkshire Pest Control Ltd to PESTUK. The staff, main office address, bank account & other contact details remain the same. Berkshire & Basingstoke Pest Control © 2006 - 2019. Serving Alton, Ascot, Basingstoke, Borehamwood, Bracknell, Camberley, Edgware, Farnborough, Farnham, Feltham, Fleet, Guildford, Harrow, Henley/Marlow, High Wycombe, Hounslow, Maidenhead, Newbury, Northwood, Ottershaw, Oxford, Reading, Slough, Surbiton, Tadley, Thame, Thatcham, Uxbridge, Waltham Cross, Wembley, Windsor, Winnersh, Woking, Wokingham.